Lifelong Learning Platform at the Future of Learning Forum! 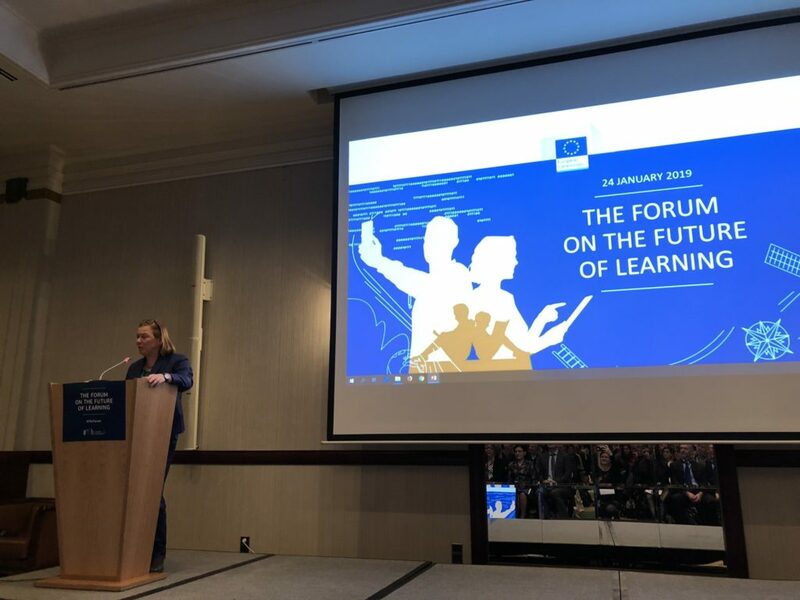 The European Commission’s DG EAC and the Lifelong Learning Platform cooperated in the preparation of the Future of Learning Forum and Civil Society Day on 24-25 January. LLLP President Gina Ebner joined Commissioner Navracsics, Romanian Minister for National Education Ecaterina Andronescu, and MEP Petra Kammerevert in the opening keynote speeches of the Forum. Minister Andronescu outlined the Romanian Presidency’s ambitions for the Council recommendation on high-quality Early Childhood Education and Care, in addition to highlighting the central role of teachers in strengthening education systems. 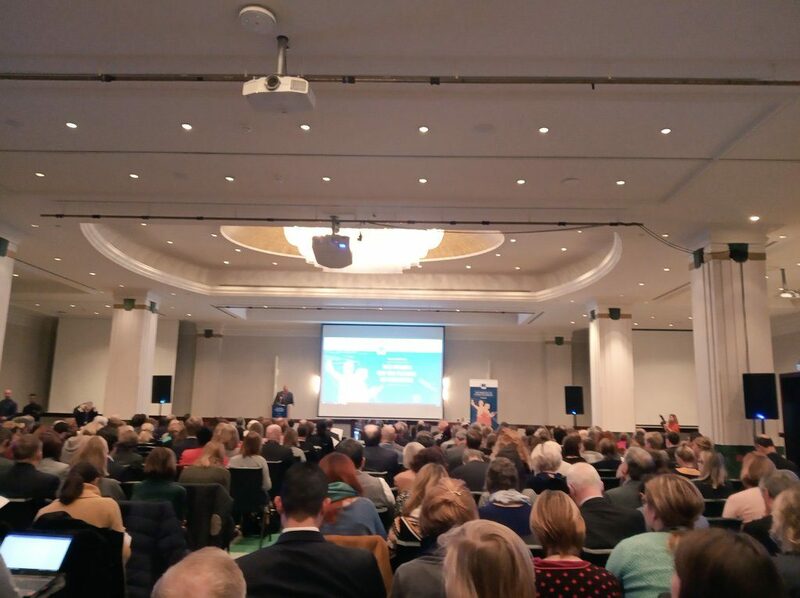 MEP Petra Kammerevert made a strong call for investment in education – proposing a national benchmark of 10% of GDP – and called for prompt action to make the European Education Area a reality. LLLP President Ms Ebner emphasised the importance of a learner-centred approach that fosters joy and motivation in learning and self-efficacy, as well as the real need for both political commitment and civil society. Throughout the Forum LLLP members were actively involved in the discussions and as speakers in the parallel sessions. The main objective was to debate and give feedback on the work of the ET2020 Expert Panel who produced reflection papers on 6 societal challenges: demographic challenges; inclusion and citizenship; technological change and the future of work; digitalisation of society; environmental challenges; and investment, reforms and governance. These reflections are aimed at helping DG EAC to draft the new education and training framework after 2020. Overall, the papers are in line with most LLLP positions, although they have been perceived by some as not visionary enough or lacking concrete actions. The Civil Society Day that followed the Forum was a unique opportunity for LLLP, its members and partners to give their input to the Commission on the development of the next framework. Recommendations put forward by participants included making participation in non-formal education a priority for all age groups and measuring that participation; making a clear link with the validation of non-formal and informal learning; investing in spaces of dialogue and co-creation for all learning stakeholders; and engaging civil society more closely in the planning, implementation and evaluation phases of policy-making. LLLP will continue to actively contribute to the ongoing development of the future framework.